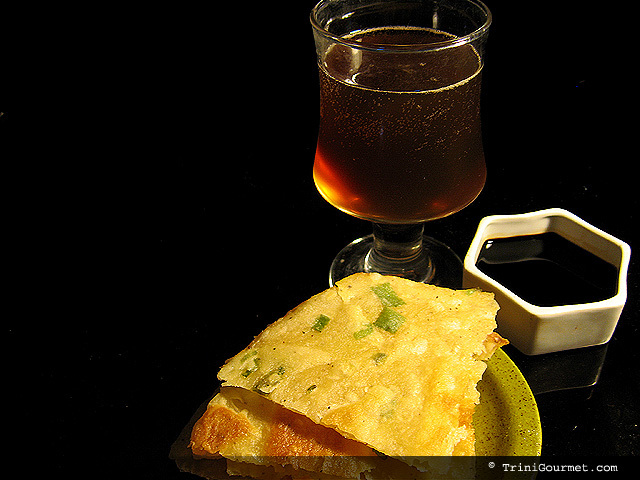 Several months ago, Canadian food blogger kslobodian (who was also the subject of my second Nyam interview) posted a recipe for Green Onion pancakes. Green onion pancakes (or scallion pancakes as I know them) were something that I was introduced to during my college years in Massachusetts. They quickly became a staple of each visit that I (and my good friend Shyama) would make to our town’s best Asian restaurant Taipei Tokyo. We would take the wedges (that alternated between crispy and chewy all in the same bite) and drizzle, almost ceremoniously, our soy sauce before taking simultaneous bites. It was heaven! 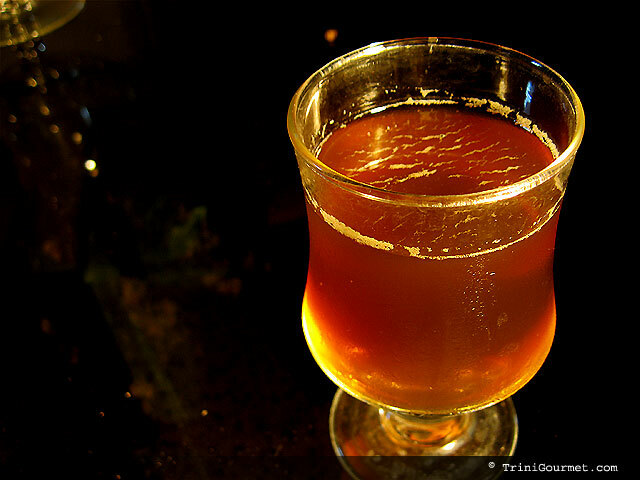 Then I moved back to Trinidad and, as the years passed on, the memories of that simple pleasure faded. That is until I saw kslobodian’s post and they all came flooding back. I -had- to have some! 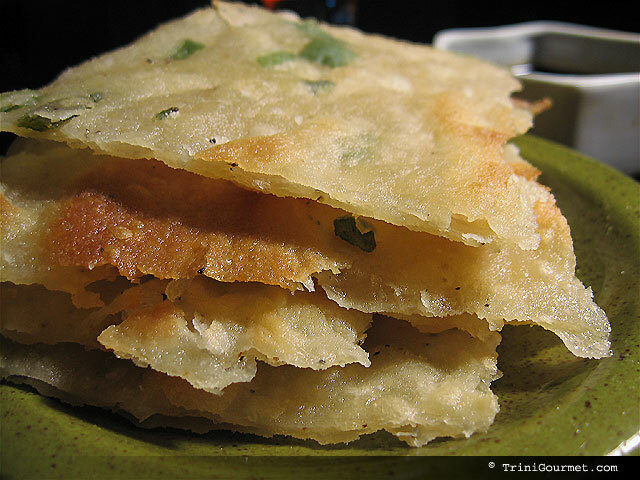 I don’t know why scallion pancakes are not a staple of Chinese offerings here but they aren’t. When I asked mom if she knew of them growing up in Jamaica, she had no clue what I was making mention of. I was determined to convert her to the simple divinity that is the scallion pancake.